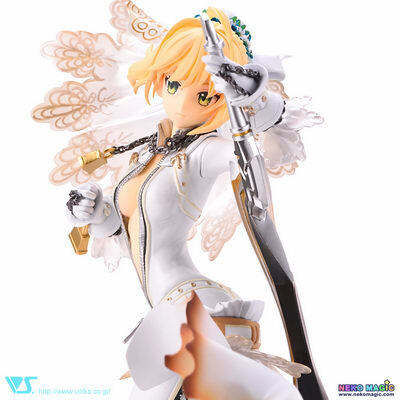 January 4th, 2016 By: GGT Category: 2016/01 release, Figure News. 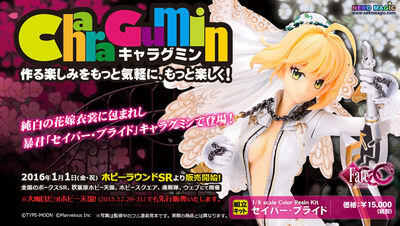 Volks is going to release the CharaGumin Saber Bride ( セイバーブライド ) 1/8 color resin cast GK form the “Fate/stay night” series “Fate/EXTRA CCC” ( フェイト/エクストラ CCC).Will be released on January 01, 2016. Around 220mm tall, 61 parts + decals, 16,200 yen (taxed in). Kit is NOT prepainted nor completed. Volks exclusive. Here come five CharaGumin GK from Volks! They were available from “HOBBY ROUND SR” event from January 1st to 3rd and now they’re available at VOLKS Website Store. For your information, VOLKS Website Store does ship overseas so we can order these GK from Volks directly without using proxy service. 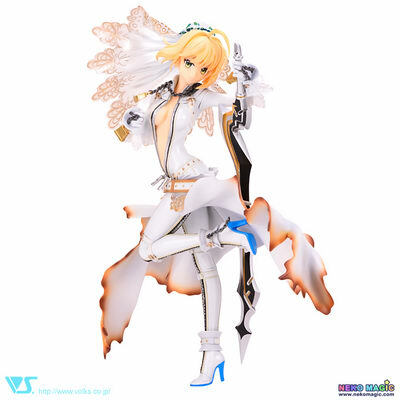 For those of you who want to get this CharaGumin Saber Bride GK, you can order her at VOLKS Website Store HERE. 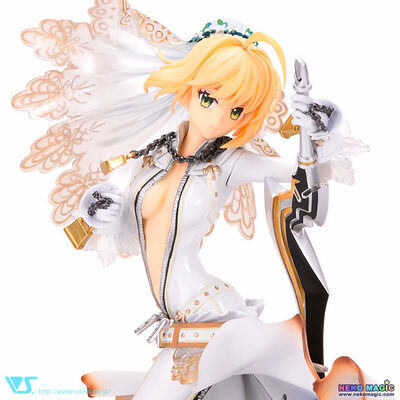 CharaGumin as “Saber Bride” in her Bridal Gown of Restraint version! With sword techniques dancing beautifully with the bellows of meteoric iron “Original Flame (Aestus Estus)”, the “Saber-class” deserves to be told the strongest Servant. Pay attention to her dress, tool of restraint, and also her thin and flexible limbs! 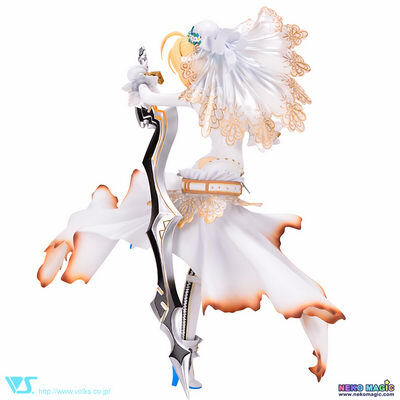 With CharaGumin, take part too to the Holy War as the master of “Yome Saber”!